The last 24 hours hasn’t been easy for fans of Mavin Boss Michael Collins aka Don Jazzy and his label star Wande Coal after the duo took to Twitter to curse each other out. The war of words started when Don Jazzy took to Twitter yesterday Nov 5th, 2013 claiming Wande Coal stole his ‘Baby Face‘ song. I honestly expected y’all to come at me with me being childish. But enough is enough. even if i send my legal team on him una go complain 2. I can decide to shut him down with one call. but didnt. all i ask for is “give me my credit” and nothing else. Wande Coal didn’t waste any time to reply his label boss. For the past 24 hours, the duo have been exchanging words on Twitter. Since last year, everything looks rosy for Mavin Records crew but insiders claim Wande Coal plan to exit Mavin Records due to management issue. After the release of Wande Coal’s video “The Kick” which had no indication of Mavin Records, but Wande’s record label Black Diamond Ent., the streets started talking. On Tuesday Wande Coal also released an upbeat music titled Baby Face without Mavin Records. This move allegedly upset Don Jazzy who took to Twitter within hours to accuse Wande Coal of stealing his song. 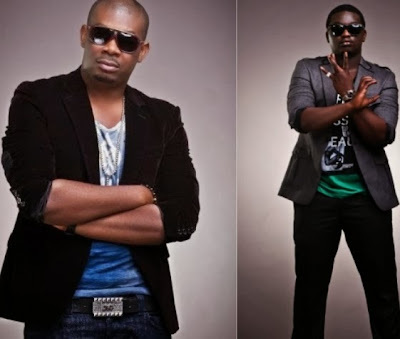 Don Jazzy said he is the owner of the upbeat song he produced last year. Who are we to believe now? Hope they will sort out their differences and stop washing their dirty linen in the public. u’re behaving like banky w when Wizkid dumped eme. I don’t believe Don Jazzy bcos Wande can’t just use your song like dt without proper credit are u trying to say he used your beat?